Well, you can call me out of ideas again (but not Shirley). I’m going to be looking at tape. 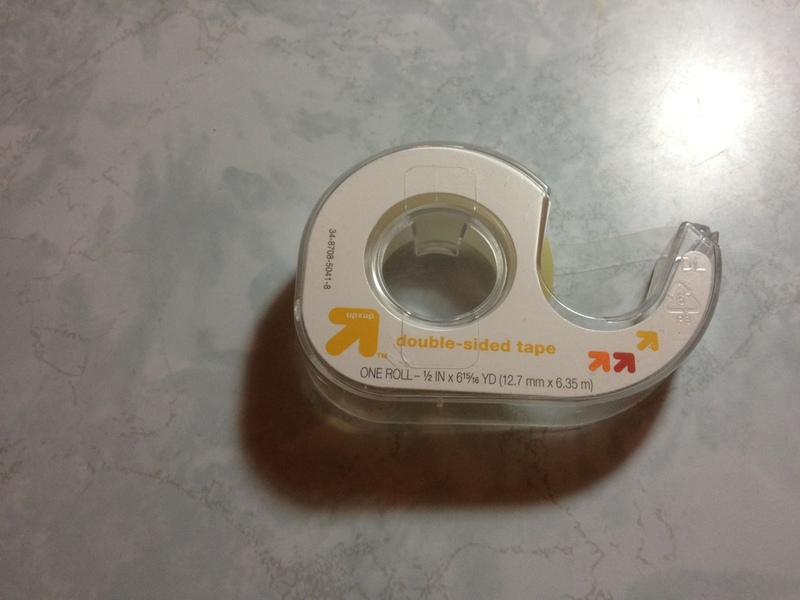 This time it’s the type of tape you never realize how much you need until you get some, and that’s double-sided tape. Specifically, from the brand Up&Up. The container is nothing special, it’s thin and plastic-y, but still flexible. The teeth are solid, and do a good job of cutting the tape. Everything is cheap but everything works on it. The tape can also be taken out and used in a different dispenser, though it is slightly thinner than regular Scotch tape and one must be careful to have it not stick to the inside of the dispenser. The tape itself is good. The sides both stick strongly, and equally so. The tape itself is stronger than the adhesive, so it will come off before breaking. It is fairly pliable but it loses its adherence fast, so nothing that moves a lot, or will be handled, will be stuck for very long with the stuff. But really it’s for posters and scrapbooking, and for that it works superbly. It is quite transparent, but that only really matters if the things you’ll be sticking on both sides are transparent as well. In the end, it’s good tape. It might be slightly below Scotch tape (in my opinion), but really not enough to tell. For any of its main uses it will serve well, and double-stick tape is really useful. This entry was posted in Beginner Supplies, consumables and tagged art supply, art supply critic, art supply review, double sided, double sided tape, review, tape, up&up, upandup by Dragon Co (Austin Smith). Bookmark the permalink.